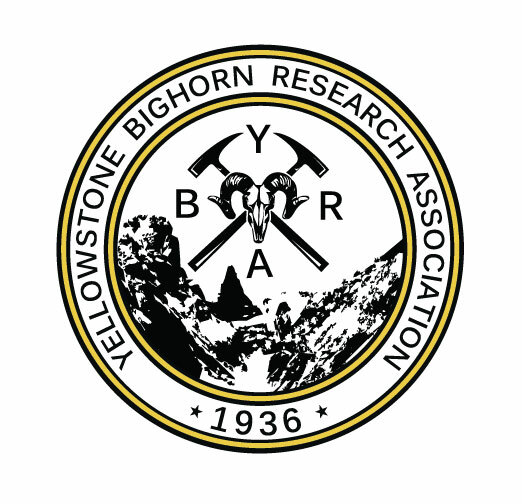 The following provides an overview of the local geologic structure, stratigraphy, and history in the Beartooth Mountain Range and surrounding areas. Use the search tool to quickly find terms and topics of interest. If you desire to contribute material to the local geography, please contact us. Some of the oldest rocks found anywhere in the world occur in the Beartooth Mountains. Rocks as old as 3.96 billion years (3,960 million years or 3,960,000,000 years) have been determined by zircon dating of a quartzite sample from Hell Roaring Plateau. These quartzite rocks were derived from preexisting igneous rocks that must have been even older than this date. The age of the earth is generally accepted as being 4.6 billion years. Therefore these Beartooth rocks represent some of the first rocks formed after the initially molten earth cooled. The “Precambrian” is the period of time from the origin of the earth (4.6 billion years ago) to the beginning of the Cambrian Period (see legend). Grizzly Peak stands at an elevation of 9,416 feet. It forms the highest part of the Red Lodge Ski area. Its name is derived from the occasional grizzly bear that was sighted in its foraging out of the Yellowstone area. A grizzly sighting, although quite rare, does still occur in this region. Most such reports turn out to be brown-colored black bears. There are a number of elements whose nuclei spontaneously emit particles that change in form and produce new elements. This process is known as radioactivity. Early in the 20th century it was discovered that minerals containing radioactive isotopes could be used to determine the age of the minerals contained in some rocks. We are most familiar with radio-carbon dating. The carbon-bearing material may be wood, bone, ivory, or charcoal, for example. This technique has proven very useful for items no older than about 60,000 years. Radioactive decay occurs when one element (the parent isotope) changes to another element (the daughter isotope) at a measurable rate. We call this rate the half-life of that decay process. That is the time required for half of the nuclei in a sample of an element to decay to its daughter isotope. After one “half-life” there will be found in the sample only one-half the amount of the original parent isotope and there will also be one-half the amount of the newly formed daughter isotope. After another “half-life” the ratio will be one-quarter parent isotope and three-quarters daughter isotope. After the third “half-life” the ratio will be 1/8 parent isotope and 7/8 daughter isotope. This process continues until there is so little of the original parent isotope that it becomes impossible to detect by current techniques. The half-life of uranium-238 is 4,510,000,000 years (or 4.51 x 1010 years). When uranium-238 decays lead-206 is formed. Therefore the ratio of uranium-238 to lead-206 in a sample depends on the length of time decay has been going on. By measuring this ratio, we can determine what is called the absolute age of that rock. (The term “absolute” differentiates that age from the relative age of a rock or structure, which is determined merely by determining that one rock or structure is simply older or younger than another such rock or structure.) There are a dozen or so such radioactive isotopes that have been discovered and used for age dating. It should be noted that when several different age dating techniques have been used on a single rock sample, there is amazing correlation between such ages. This suggests that many such radioactive dates are valid estimates of the actual rock age. A great variety of rocks found in the Beartooth Mountains are Precambrian in age. Here on Grizzly Peak are some granites, granite gneisses and schists. Elsewhere occur these same rock types as well as granodiorites, migmatites, gabbros, basalts, ultramafics, and amphibolites. All these igneous rock names come from the fact that they contain varying amounts of the major rock forming minerals – quartz and feldspars (plagioclase and potassium feldspar), iron-magnesium minerals such as biotite, amphiboles, and pyroxenes. One such classification of igneous rocks is illustrated here. Studies of the Precambrian “basement” rocks of the Beartooth Mountains have revealed several episodes of igneous intrusion of dikes cutting the older rocks. The earliest intrusive event appears to have been approximately 3600 to 3700 million years ago. A major mountain-building episode, called the “Beartooth Orogeny” occurred about 2800million years ago, with intrusion of the Long Lake granite and granodiorite and associated metamorphism of the adjacent rocks. This was the first in a series of four age groupings of such dikes – 2800-2500 m.y., 2200-2100 m.y., 1300 m.y. and 740 m.y. These dikes occupy fracture sets with a variety of orientations. The 2800-2500 m.y. old group shows the most diverse set of orientations. The 2200-2100 m.y. group are all generally oriented north-south. The 1300 m.y. old set is oriented 30 degrees west of north. The 740 m.y. old set is oriented 75 degrees west of north. Located in trees above the Miami Beach chairlift on Red Lode Mountain are outcrops of thick layers of sandstone. Upon close examination one can see that there are cross-bedded units of quartz sandstone. These beds are part of the geologic formation known as the Flathead Sandstone, named for similar rocks found near Flathead Pass in the northern part of the Bridger Range, Montana. The Flathead is a quartzite in places and frequently appears red or reddish-brown in color. The color is primarily due to iron staining, with iron oxide cementing many of the grains. At its contact with the underlying Precambrian granites and granite gneisses, the Flathead commonly has a large proportion of pink potassium feldspar and appears pebbly and arkosic. Approximately 530 million years ago (Middle Cambrian time) this region was a seaway with a beach area on the western flank of what was then the "Transcontinental Arch" of what became the North American continent. (On the map the sandstone is shown in a stippled pattern. Carbonate Platform deposits, shown as brick-like pattern, occur farther from the continent and Open Shelf depostis, shown as fine dashed lines, occur even farther from shore. All of these represent deposits in a shallow marine sea. Deeper oceanic waters probably occurred outside this shallow seaway.) The map shows there were similar beach deposits all around the Arch. In this region of what is now Montana/Wyoming, the seaway slowly migrated east as sea level rose relative to the continent. The sandy beach migrated slowly eastward with this rise in sea level. By late Cambrian time (nearly 500 million years ago) the beach area reached what is now the Black Hills region. There the Upper Cambrian Deadwood Sandstone is the lateral equivalent of this Middle Cambrian Flathead Sandstone. In other words, it took about 30 million years or so for sea level to rise enough for the shoreline to migrate from this part of Montana/Wyoming the approximately 300 miles (450-500 km) to the region of the Black Hills. As described above, this formation consists of nearly pure quartz pebbles and sand (silicon dioxide = SiO2), with Some impurities, such as iron minerals like pyrite, weather to give the Flathead Sandstone its color. Elsewhere such formations are quarried to make window glass. This formation is similar to many east coast beaches (New Jersey to South Carolina), with nearly pure quartz sand and minor iron impurities. The composition of this formation suggests that many igneous and metamorphic rocks were exposed at the surface and were being subjected to weathering and erosion to produce the quartz sands. Many minerals that make up the igneous and metamorphic rocks are chemically dissolved, leaving mainly quartz grains, with some feldspars. These quartz grains are carried to the oceans where currents distribute them along beaches. These currents carry the sand grains over other layers, allowing the grains to accumulate along sloping surfaces, producing the cross-bedded character of the Flathead Sandstone. Maurice Limestone(elsewhere called the Pilgrim Limestone)Approximately 100 feet (30 meters) of thickly bedded crystalline limestone that is more resistant to weathering; light gray to light brown with some gray "mottling" or irregular shaped splotches; trilobite remains common in certain beds. Park FormationNearly 400 feet (130 meters) of greenish to purple shale, interbedded with thin beds and lenses of gray limestone; top part contains distinctive edgewise conglomerate with clasts at all angles to bedding. Meagher LimestoneLess than 100 feet (30 meters) of thin-bedded gray limestone with irregularly wavy-bedded limestone; middle member sometimes present consisting of soft, green shales. Wolsey ShaleApproximately 150 feet (35 meters) of green, gray, to purple papery shales grading upward to green, brown, sandy shales and siltstones; trilobite fragments fairly common. Flathead SandstoneFrom zero to nearly 60 feet (20 meters) of light tan to reddish medium-grained sandstone and quartzite; locally calcareous cement surrounding quartz grains; sandstone commonly coarse with many feldspar grains near bottom; rust-staining from enclosed pyrite (iron oxide) grains throughout formation. One of the earliest forms of life to develop a carapace or shell was the trilobite. This is an extinct form of life that resembled the modern horseshoe crab. It had three lobes (hence its name) -one central and two lateral lobes. In addition it had three main parts - a head (or cephalon), a middle body (or thorax) and a tail (or pygidium). In the rocks just above this sign are to be found thousands of pieces of trilobites. Because the carapace was shed as the trilobite grew larger, there can be many fragments of such carapaces left by a single individual during its lifetime. Additionally, the carapaces are made of material like human fingernails, so they fall apart when the animal dies, leaving many disarticulated heads and tails. Such accumulations of fragments are nonetheless useful for identifying and classifying trilobites. Most trilobites lived in relatively shallow marine waters. This region was near the shoreline of the extensive Cambrian seas (as noted on the Flathead beach sand discussions). On the adjacent diagram, note the location of Red Lodge Mountain with respect to this Cambrian sea. Some trilobites are known to have foraged along the shallow sea bottoms for food, taking in the muds with their enclosed microscopic organisms. Others swam above the bottom and filter fed on small swimming and floating organisms. Still others appeared to rise in a "hopping motion" above the sea floor into the shallower zones. They all needed relatively clear and shallow water. When condition changed, they had to migrate to more agreeable environments or else they would perish. When conditions were right, trilobites flourished in the Paleozoic seas. Trilobites were the dominant life forms during the Cambrian Period. Starting with a few families, trilobites diversified and multiplied for millions of years, only to undergo drastic reductions in numbers over relatively short time intervals. They flourished when conditions were right and died out suddenly when conditions changed. This change may have been either a fairly sudden deepening of the ocean waters or, conversely, an equally rapid shallowing. In either case, the trilobites were no longer living under ideal conditions and many entire families died out. This occurred at least five times during the Cambrian Period. Only one or a couple families made it through these devastating episodes of changing environments. Each of these instances of mass extinction was followed by another episode of blossoming out into many lineages of trilobite families,only to be usurped by another mass extinction. We have been inundated by tales of the great extinction of the dinosaurs at the end of the Cretaceous Period, prior to the start of the Tertiary Period (known as the K/T boundary). This certainly was a mass extinction of tremendous proportions. Had the dinosaurs not died out, there is no telling what the sequence of life development might have been. The small mammals living during the latter stages of the reign of the dinosaurs, may not have developed into the dominant life forms of the Tertiary Period. Who knows what might have been the fate of humans under such a scenario?! The Palisades, forming the ridge crest on the northern horizon, is made up of three geologic formations: the Bighorn Dolomite of Ordovician age, the Jefferson Limestone of Devonian age, and the Madison Limestone of Mississippian age. All of the formations named above are carbonates either limestone or dolomite. That means they consist of grains, fragments of fossils, and precipitates all made of calcium carbonate, CaCO3. All of these formations are of marine origin, having been deposited in ocean waters up to several hundred feet deep. Obviously they are no longer at sea level so they must have been lifted up to their present position. The Northern Rocky Mountains were lifted up during several episodes of mountain building. This mountain building was apparently caused by the interactions of what are called tectonic plates. The entire outer portion of the earth, including the crust and the outer part of the earth's mantle, behave as though the material is rigid. The earth is divided into a dozen or so major plates and about two dozen minor plates. As these plates move about on top of a less rigid, softer underpinning, they tend to run into other plates. When two plates collide something has to give. In many cases one of the plates is pushed up as the other plate glides underneath. The most dramatic example of this is the Himalayan Mountains and Tibetian Plateau, raised to enormous heights as the Indian-Australian Plate crushed into and slid under the Asian Plate. A similar event occurred in the history of the Northern Rockies pushing up the Beartooth Mountains to heights not unlike those of the Himalayans today. Subsequent weathering and erosion have taken their toll on the Beartooth Mountains, reducing them to a somewhat lower elevation than the Himalayans. During this episode, the rocks that now make up the Palisades, were pushed up from below sea level to heights as much as 20,000 feet above sea level. As they arose, they were warped from a horizontal to a nearly vertical attitude, with bedding dipping at a very steep angle. In fact the bedding was pushed up to vertical and then beyond vertical, so that they now dip in an overturned condition, back toward the south. This uplift occurred along a major thrust fault, which occurs along the north edge of the Palisades. A subsidiary thrust fault brings Precambrian rocks over rocks of younger age in several places in this region. As the thrusts moved forward, one part extended beyond the rocks on either side, producing "tear faults" along the margins of the forward moving portion. This motion produced the offset of the Palisades along the Willow Creek Fault, as well as several other tear faults. When driving along the Red Lodge Mountain ski road, one can observe this offset, where the Palisades seem to end abruptly just above the Palisades Campground. The extension of this same Palisades ridge can be seen offset much farther to the south of the West Fork of Rock Creek. It can then be followed past Rock Creek, at the Point of Rocks, offset again on the flanks of Mount Maurice, and then continuing south toward the Montana-Wyoming border near the Clark Fork Canyon. Sitting in front of the Palisades are many low mounds and long gently sloping ramps, which lead up from the lowlands toward the mountain front. The Paleocene Ft. Union Formation underlies many of these features. This formation resulted from uplift of the Beartooth Mountains during the general mountain-building episode that produced the Rocky Mountains. Weathering, erosion, and redistribution of the eroded gravels, sands, silts, and clays occurred by gravity and by streams flowing off the mountains. The Beartooth Mountains were uplifted during what is called the Laramide Orogeny. This orogeny, or mountain-building event, occurred during late Cretaceous into early Paleocene time and produced the sediments described under the Ft Union Formation. Weathering and erosion wore down these mountains but they were again lifted up during subsequent tectonic events. Weathering and erosion of these later uplifts again shed large amounts of material off the mountains, into the adjacent valleys and intermontane basins. Debris aprons were formed at the edges of the mountains. These aprons, or ramps, provided access into the mountainous region to early settlers in this area. Many of the first occupants moved their wagons and supplies up these sediment-laden slopes toward the higher country. As the material was eroded from the mountains and deposited by gravity and streams, the coarsest gravels and boulders were dropped closest to the mountain source area. Sands were carried somewhat farther and finer silts and clays were carried the greatest distance. Thus the Ft Union Formation consists of coarse deposits (conglomerates), river deposits (fluviatile beds), mud or clay deposits, lake deposits (lacustrine), and even swamp deposits (which result in coals). Each of these different rocks aspects (called facies) can be seen within a short distance of the mountain front, especially along the hillsides toward the east between Red Lodge to Bearcreek and on to Belfry. The swamping conditions that occurred over fairly wide areas during deposition of the Ft Union Formation resulted in extensive coal beds in the Red Lodge/Bearcreek area. Small amounts of coal were mined in the early 1880s. A Northern Pacific branch line was completed into Red Lodge in 1889. A large group of settlers and mine workers soon moved into the area. A subsidiary of the Northern Pacific Railroad, the Northwestern Improvement Company began mining in 1898. By 1910 the population of Red Lodge rose to nearly 5000. Coal produced from this area supplied the Northern Pacific locomotives with boiler fuel, smelters at Butte and Anaconda with similar fuel, as well as fuel for homes in the Red Lodge-Billings area. It is reported that the higher quality coals that were easily mined here were sold from Bismarck, North Dakota to the Idaho-Washington state line. Though mining started in Red Lodge, by 1900 it expanded to Bearcreek where the same coal beds cropped out. That coal had to be hauled 4 or 5 miles over the Bearcreek-Red Lodge Bench, increasing the cost considerably. In 1906 the Yellowstone Park Railroad completed a line up the Clark's Fork valley from Bridger to the Bearcreek mines. This rail line greatly reduced the transportation coast for the Bearcreek mines. Peak production in the Red Lodge-Bearcreek coal fields occurred in the early 1920s, when it is reported that as many as 8000 to 10,000 people lived in this combined region. It is also reported that this was a typical frontier mining camp, with "gambling halls, saloons, knee-deep mud, and rough characters". Large numbers of foreign-born workers were attracted to this mining region, including Austrians, Finns, Hungarians, Italians, Norwegians, Russians, Swedes, and Welsh. Though differences occasionally flared, this mixture of nationalities eventually spawned the annual weeklong celebration in Red Lodge, known as the Festival of Nations. This event, which occurs every August, celebrates the ethnic and national diversity, and highlights each group's contributions to the cuisine, cultural, and linguistic characteristics of this region. Production of coal declined from the mid-1920s, when much less expensive surface mining began in southeastern Montana. Throughout the 1930s oil and gas production increasingly replaced coal for many purposes. A brief rebirth of the coal industry in the Red Lodge-Bearcreek fields during World War II was brought to a halt by the worst coal mine disaster in Montana history. The No. 3 Smith Mine of the Montana Coal and Iron Company at Washoe was the site of a tremendous explosion about 9:30 A.M. on Saturday, February 27, 1943. The resulting fires and gases claimed the lives of all but three of the workers in the mine at the time of the explosion. A sign on the Red Lodge-Bearcreek road near the town of Washoe poignantly tells the story. The coal mining industry never fully recovered from this tragedy, though coal continued to be removed from a few mines. In 1970 the Brophy Mine, the last underground operation shut down. "Smoke pouring from the mine entrance about 10 o'clock in the morning of February 27, 1943 was the first indication of trouble. 'There's something wrong down here! I'm getting out!' the hoist operator called up. He and two nearby miners were the last men to leave the mine alive. Rescue teams from as far away as Butte and Cascade County worked around the clock in six-hour shifts to clear debris and search for possible survivors. There were none. The night of March 4 the workers reached the first bodies. More followed until the toll mounted to 74. Some died as a result of a violent explosion in Number 3 vein, the remainder fell victim to the deadly methane gases released by the blast. The tragedy at Smith Mine became Montana's worst coal mine disaster, sparking investigations at the state and national level. Montana Governor Sam C. Ford visited the scene, offered state assistance, and pushed through an inquiry into the incident. Today's marker of the Smith Mine disaster follows a simpler one left by two of the miners trapped by poisonous gas they knew would come, 'Walter and Johnny. Goodbye, wives, and daughters, we died an easy death, love from us both, be good' ".